You’re all set to re-dedicate yourself and re-focus! 8 days, 8 Powerful Lessons is the way to get back to yourself, your spirituality, and living life the way you want to live it, as it combines the powerful lessons of the Jewish holiday of Chanukah and spirituality with modern day living (no you don’t have to be Jewish!). As soon as we are ready to open the doors to our program we will let you know. 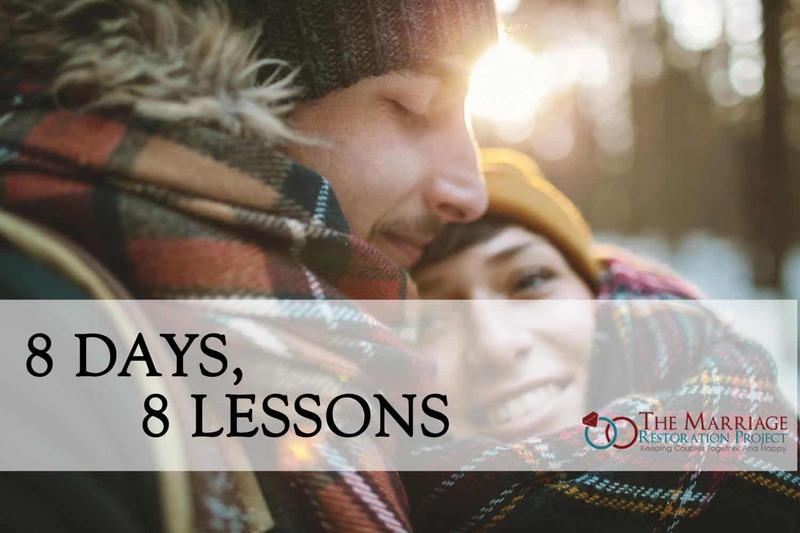 To help you prepare for the launch of 8 Days, 8 Powerful Lessons, if you are on this VIP list, we will be sending you some audios and videos that you may want to watch to help you get focused and centered again on what is important in life. If you feel antsy and you want to get started ASAP, we recommend that you like our Facebook page. That way you are in the loop and can get a feel for our approach towards helping to fix relationships and personal healing. Our Facebook page is The Marriage Restoration Project- Shlomo and Rivka Slatkin and our website is TheMarriageRestorationProject.com. Read our blog, watch our videos, listen to the podcasts and you’ll be well on your way towards living a conscious and illuminated life.